The arrival of Eslite Bookstore in Hong Kong, its first store outside its native Taiwan, is one of the city’s most anticipated retail events this year. 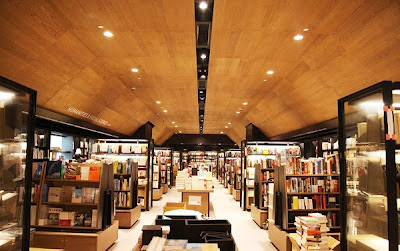 In addition to pleasing book lovers, the store has injected a much needed dose of culture to the area. Causeway Bay is just one Gucci or Chanel away from becoming a giant duty-free shopping arcade for Mainland tourists. The megastore takes up three floors – from 8/F to 10/F – at the brand new Hysan Place. Three sets of enormous, unidirectional escalators take shoppers from the first level atrium directly to the bookstore in mere minutes. Kudos to the architect who designed the mall. The 8th floor carries bestsellers, new arrivals and children’s books. The 9th floor, my favorite of the three, is dedicated to fiction, literature, history and philosophy. There is also a classical music corner with several listening booths. The 10th floor is taken up by magazines, travel guides, investment manuals and public exam references. 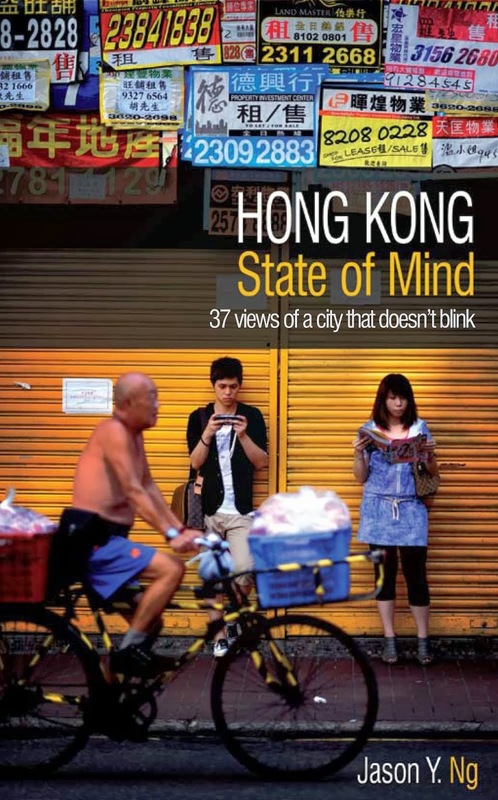 That floor draws the biggest crowds because Hong Kongers tend to be practical readers. In every section, English titles are mixed in with Chinese ones, an arrangement that has its pros and cons. Scattered over the multi-story space is a stationery shop, a restaurant and a Taiwanese tea bar. During the first few months, the bookstore is opened around the clock every Thursday, Friday and Saturday. As is the case for most Chinese language books, Taiwanese books – which make up the bulk of the stock at Eslite – each have their retail price printed on the back page. By comparing the original price in NT$ and the actual sticker price in HK$, shoppers can easily calculate the retailer’s mark-up. I did a quick check and concluded that all books are marked up by about 30%. 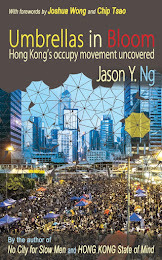 For instance, China – A Macro History (《中國大歷史》) by historian Ray Huang (黄仁宇) sells for NT$280 (or HK$72 using the current exchange rate) in Taiwan but HK$93 in Hong Kong. 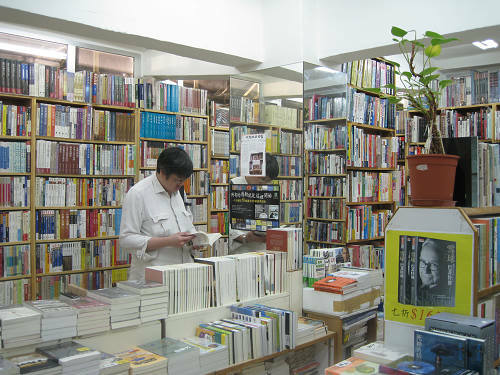 Feeling short-changed, most shoppers are there to browse rather than buy and treat the place like a library. And to those who don’t care much for reading, Eslite is the latest tourist destination or simply a comfortable place to hang out in. Cynics are already calling the 24-hour bookstore an air-conditioned shelter for the homeless. How many who shop there actually read? 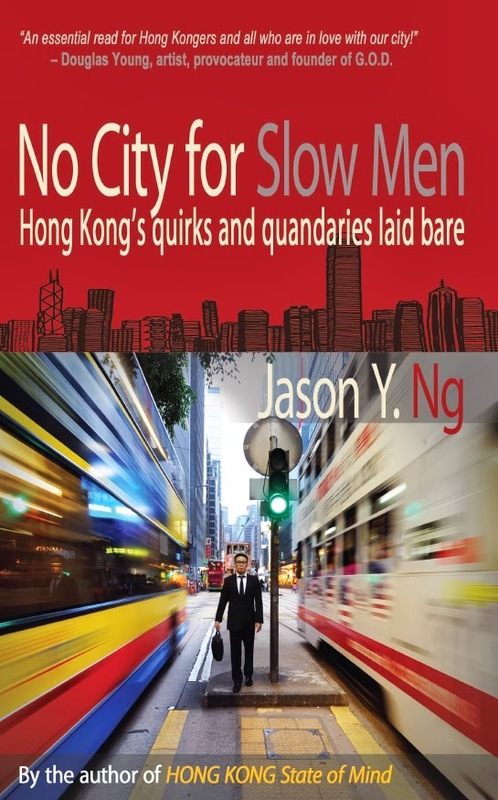 Despite all the hoopla about the newcomer, many readers in Hong Kong still prefer to shop at those “upstairs bookstores.” Tucked away on the second or third floor of old tenement buildings on Lockhart Road and in Mongkok, these mom-and-pop stores offer a 20% discount on Taiwanese books all year around. Contrary to dire predictions, they will likely survive the onslaught of a formidable competitor from Taiwan. The real endangered species, on the other hand, is local chains like Joint Publishing (三聯書店) and Commercial Press (商務印書館). They need to pay sky-high rent for street-level retail space and at the same time lack the resources to compete with Eslite in size and in product variety. Over time, as their market share continues to erode, the local chains will be relegated to selling only secondary school textbooks and Mainland publications. Eslite has no interest in competing in either market. Many still prefer "upstairs bookstores"
Those who have visited Eslite’s Xinyi (信義) flagship store in Taipei know the joy of spending a relaxing afternoon in a spacious environment and being surrounded by nothing but books. 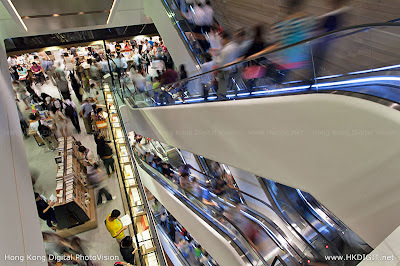 By contrast, a common complaint about the new Hong Kong store is its narrow aisles and suffocating crowds. Shopping there, as is anywhere else in Causeway Bay, is stressful and sometimes downright unpleasant. Hopefully the crowds will subside after the novelty wears off and shoppers realize that it is just a bookstore after all. Only then will Eslite become what it is meant to be: a haven for true book lovers. Following the popularity of the Casueway Bay flagship, the retailer may well be planning a second store on the Kowloon side, perhaps in that other giant duty-free shopping arcade for Mainland tourists: Tsim Sha Tsui. UPDATE: In June 2013, Eslite announced plans to open its first branch in Mainland China. It was to be the world's highest bookstore located at the 121-story Shanghai Tower currently under construction. A week later, however, the PRC propaganda department pulled the plug on the plans, dashing hopes that Shanghai citizens would finally get to read books that they otherwise wouldn't find at local bookstores. Mixing English and Chinese books is perhaps deliberate; their attempt to be "inclusive" and not marginalize readers who only read English. But the arrangement appears to have backfired. It is indeed confusing. As for not having a local interest section, I already made a complaint!! My book belongs to that category!! P.S. It took me a while to figure it out, but YA stands for "young adult" I think.